Stinky, daft and funny! Valentine poems for all you kids who are sicked out by red roses. 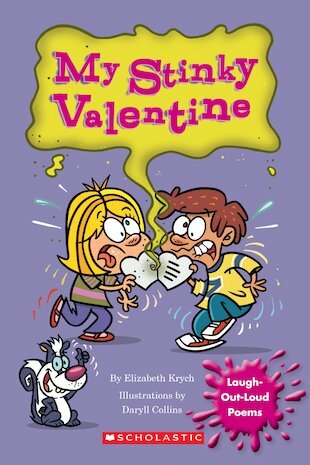 Laugh out loud at these cheeky verses, which have candy, cards, gifts – and heaps of crazy twists. Think flowers that bring on allergies and pigs in search of partners. Naughty but nice: a funnier way to celebrate the year’s sweetest day.